Spring is sprung the grass is rise, I wonder where the birdies is? 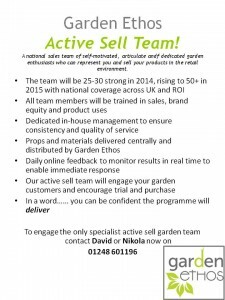 As the 2015 season comes into a view, we are brushing off our best voices, enthusiasm and know how of the gardening industry and putting together a series of demo teams for our clients. Yes .. you are certain to get lower costings going to the traditional merchandising companies that can provide demonstrators at the relative drop of the hat. 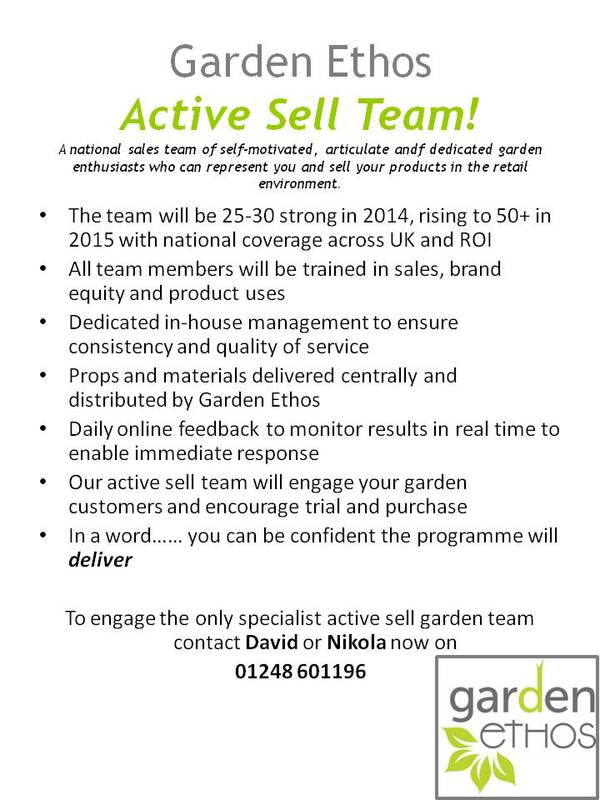 But, will they know anything about that new product in question and how au fait will they be with gardening? The chances are .. very little and none (in that order!). We specialise and guarantee that our demonstrators are keen gardeners with a good working knowledge of UK garden centres and DIY mults – just where your supporting active demonstrations are likely to be located. Come to us for a great quote that includes all the preparation, proposals of how the demo will look and feel. We will produce an instructional video so that you can see what they will look like and will ensure that the team will all be actively selling in the same way. Included will be all logistics such as clothing, props and training. We will even call the target stores to ensure they are ready for the event and provide reports after each weekends activity. No, it will not be the lowest cost per event .. but is will certainly be the BEST and most effective in getting your messages across and selling more in your customers stores.